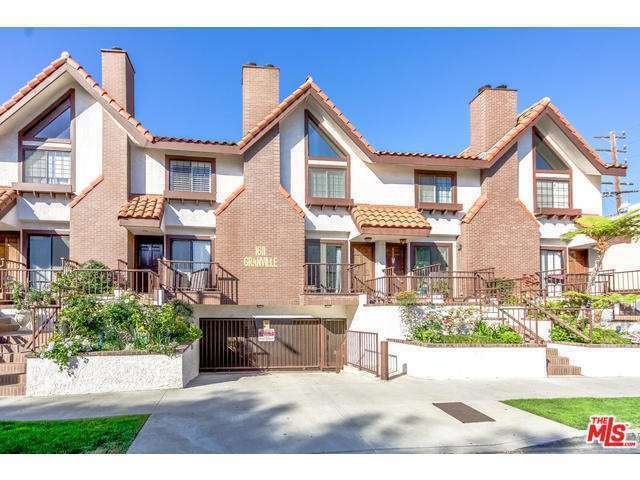 Sunny, bright, eastern and western exposure, highly desired front townhouse opening up to a wonderful neighborhood. Only two common side walls and no unit above or below you, feels like home. Large spacious vaulted ceilings in the bedrooms, with attached full bathrooms, walk in closet, and extra storage, as well as, full-size side by side washer and dryer on the bedroom level inside this remarkable townhouse. Large kitchen with stainless steel appliances, built in wine cooler cabinet, and breakfast area. Fireplace in living room and convenient first level half bath and two storage closets. Gorgeous hardwood floors. Central heating and air-conditioning. Two tandem parking spaces conveniently located in the community garage. Lovely courtyard building. This is a phenomenal opportunity! Come make this your new home!